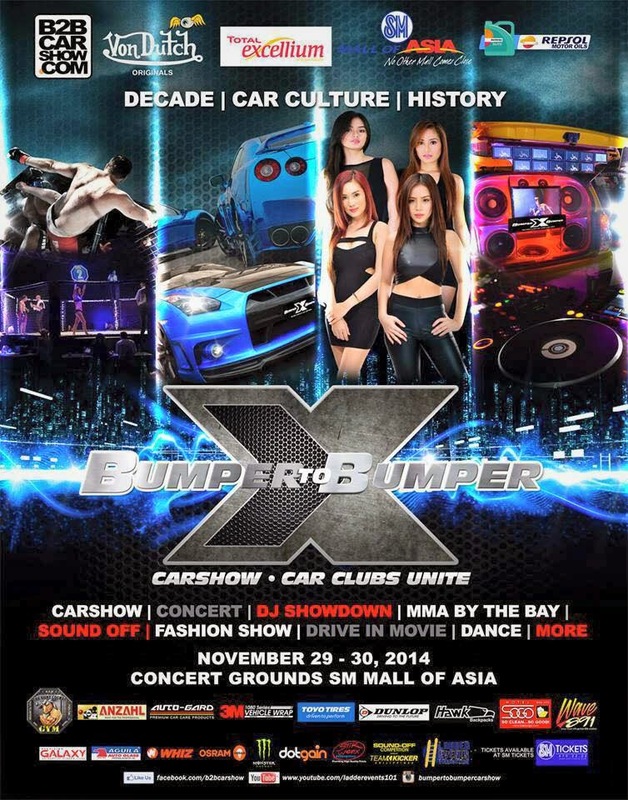 Car enthusiasts and owners, car brands gathered together in Bumper to Bumper 10 car exhibition and competition held at the SM Mall of Asia Concert Grounds in Pasay City on November 29-30, 2014. 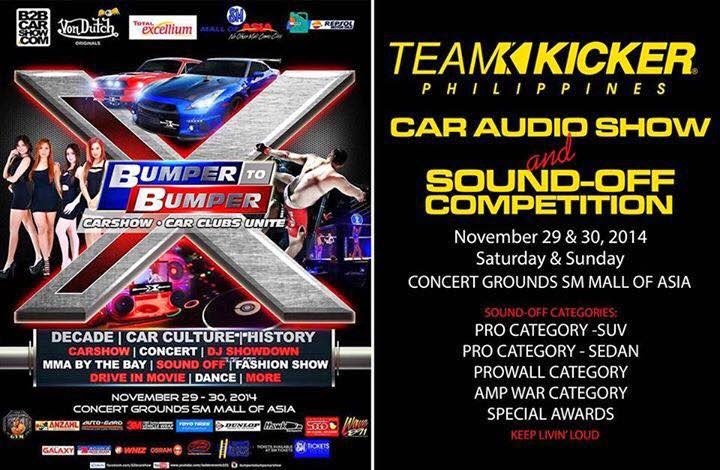 This is made possible by Ladder Events Production, Metro Rides, HSN Hotter Summer Nights, Party Nation, RYDS, Car Club Fair and Hot Import Nights Manila. There were 300 cars on exhibition, car audio show, 10 performances in a concert (songs/ dances), 10 DJ showdowns, fashion show, 10 MMA fights by the bay, photo opportunity with the gorgeous models, etc. Noticeable is the Total Excellium giant balloon display and the beautiful cars exhibited at the Total booth. TOTAL is a world-class provider of petroleum products. Total is one of the largest major integrated oil and gas companies in the world, with activities in more than 150 countries. The Group is also a first rank player in chemicals. Its 96,000 employees put their expertise to work in every part of the industry – exploration and production of oil and natural gas, refining and marketing, gas and new energies, trading, and chemicals. Total is working to help satisfy the global demand for energy, both today and tomorrow. 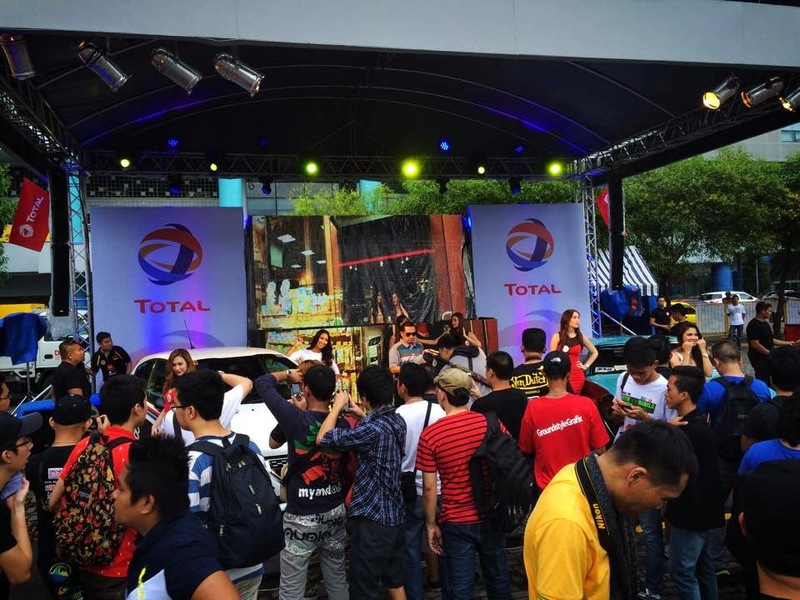 In the Philippines, Total has built a strong presence since it entered the market in 1997. It is engaged in the importation, distribution and marketing of refined petroleum products – fuels, LPG and lubricants – and special fluids. The company owns and operates two oil terminals, an LPG refilling plant, and a fast-growing network of service stations. It also has investments in satellite fuel depots in strategic locations in the country.